Emeli Sandé is emerging as one of the hottest new artists of 2012. Smash hits like Heaven and Next To Me have really put her on the map. Her combination of power vocals and energetic tracks have gained her a legion of new fans. With her new single My Kind Of Love she giving us a whole new side with a smooth R&B ballad but with the power and emotion we expect from her. A beautiful song with an equally beautiful video, check out My Kind Of Love her now. 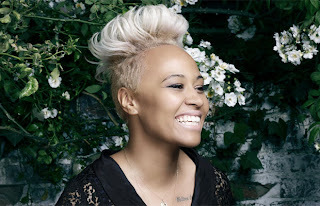 Emeli's album Our Version Of Events is available on iTunes now..!